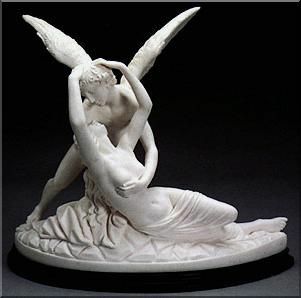 Here are 2 interviews recently unearthed from the Cupid and Psyche era. Listen to an audio clip from an American radio station can heard here. Thanks Justin Bindley for creating an MP3 from an old cassette and sending it on! Thanks Justin and John for these little treasures! John i remember a video from Scritti Cola with an interview of Green talking about the meaning of the name Scritti and the punk days with images of Anarchy in UK tour…..really hope to watch this one day in this wonderful site!!!! Yes, thanks to Justin and John. Actually, this interview is from British radio. That’s David ‘Kid’ Jensen who was/is Canadian and was always paired with John Peel to present Top of the Pops even though he was about as cool as Mike Read. The ‘Network Chart’ was a syndicated chart rundown for independent local radio (based on airplay as well as sales) on at exactly the same time on a Sunday as the official BBC Top 40 but initially more up-to-date. I’m not sure ‘Perfect Way’ was a hit on that chart either! Hmmm, perhaps I’m being unfair. Scritti also did a session for Kid Jensen in the ‘Songs to Rember’ era – quite possibly on this site somewhere!